Cancer teaches you many things…that you have strength you never knew you possessed and that there are angels, sometimes in unlikely places. For many of us, it awakens a drive to give back, which is the sweetest gift of all. 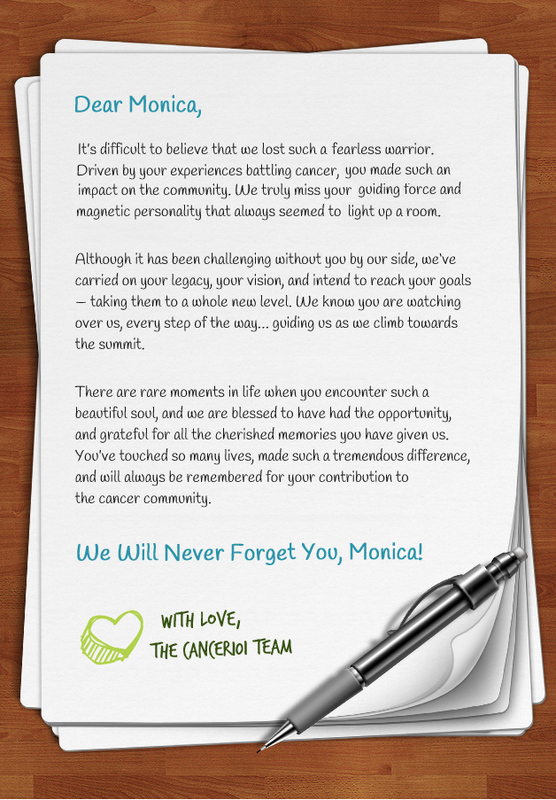 To help us carry on Monica’s vision and accomplish CANCER101’s goals, please make a donation today. With your donation and/or support, patients everywhere can receive the help they need to empower, inform, and guide them through cancer.